Our Company, Nation’s Mini-Mix is a locally owned family business! We have been operating out of Eugene/Springfield, OR since 1994. Nation’s, specializes in small yardage concrete delivery. We also have specialty mixes. If you have seen the BIG RED mixing trucks, that’s us! 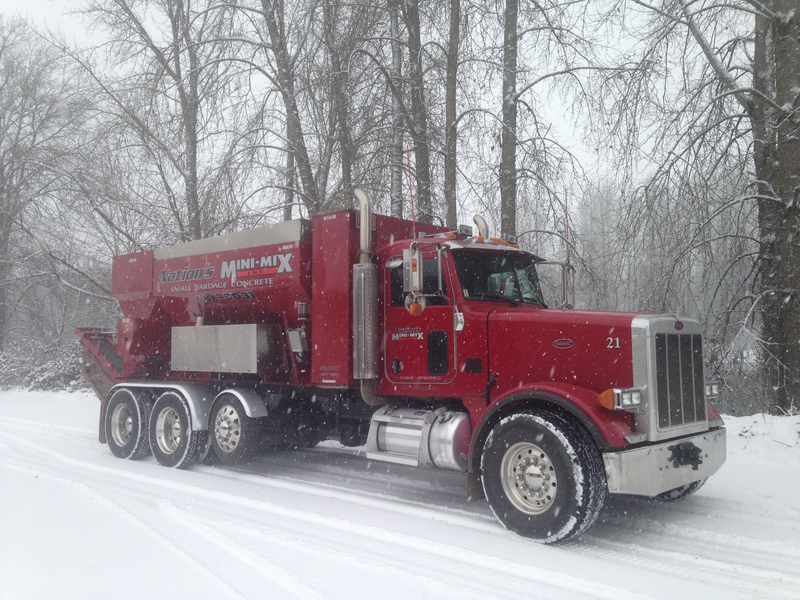 We haul all the components of concrete on our truck and mix on-site. Which guarantees that you are getting the freshest concrete possible. Nation’s Mini-Mix is dedicated to providing the highest quality concrete. We strive for excellent customer service for every customer on every job. There is no job to BIG or small for Nation’s. We have six trucks that are available to deliver concrete so if you have a big shop slab or just a small piece of sidewalk, we can bring as much or as little as you need to get the job done. Next time you need small yardage concrete delivered, call Nation’s Mini-Mix. You will be calling the folks committed to excellence and setting the highest standards in the industry. We are dedicated to being the best!!! Nation’s Mini-Mix Concrete, our family delivering concrete for your family’s needs! I am very happy to tell you that your company met my needs in all ways. It is a pleasure to deal with a company that is as responsive to my communications as yours is. All correspondence was immediately and informatively answered.The project was scheduled exactly when I wanted it to be (and on short notice at that). Your driver was very helpful and friendly. He assisted me more than I expected, which was wonderful in that I had never worked with concrete before and had no clue. Thank you very much.